Though being quite helpful in online business analytics, Ecommerce report still accommodation some benefits and disadvantages. While most people are not aware of what will they get from the reports, the use of it can be meaningless. Here are the 20 things you should know about the Ecommerce report to use this mean of business overview more effectively. Many users stereotype these all bring data to the view. But Analytics is more of giving information to design strategies while reports sum up what already taken. In this mobile-first world, the number of mobile users overcrowds that of desktop users, hence the E-commerce reports on portable devices. Acquisition report is the first thing people learn in the report processing to tell all about traffic and efficiency of every marketing effort. Reports can track the engagement you have over the plot of your site. What to know will help you enhance the type of content you should feed. Some report tools create analyzes on the most popular keywords so that you will know which to optimize. Knowing who’s coming back is valuable in term of learning customers’ behavior. 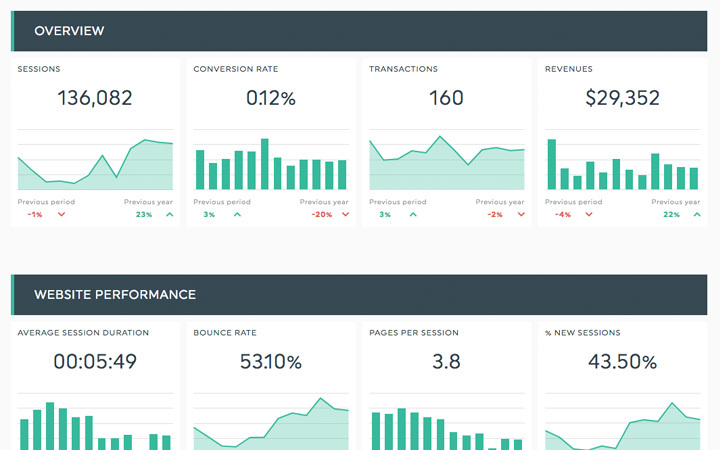 Google Analytics and most tools can create this type of standard report. Getting acknowledged of who’s leaving you is also vital to developing a new strategy. Now you can read this on a report. Reports can show you which pages are in favor of visitors. Thus, you can enhance the less functional pages. After all, collecting data is not an automatic process. With the deficiency in information, reports can expose wrong values. It is hard for any machine to keep with the pace of the world, so it is for reports. Whatever you see in the documents can be old already. It takes time to put all the figures, metrics, and illustrations on a report. Reports are not free. It needs people to work on the data before sending out, and those people will get paid. There is no short of false reports that lead to failure in marketing. It could be trouble to find people who are honest in reporting. Computer systems do 80% of the data collected. With the borderless power of the Internet, E-commerce reports can conduct anywhere despite location. Gathering data changed continuously on a live report is possible. The numbers, therefore, are more reliable. What reflects in the numbers can be inadequate. How the readers get, it depends on their logic. Reading a report is not just about understanding the digits. To get the most out of it, the experience is a must. Though consisting of lines, texts, and charts, reports are easy to perceive. In spite of all the inaccuracy, reports are the backbone of new business tactics. Without the presence of previous data, there is no possibility to move forward. The report is a house of all data collected by people and machines. Though it has exhibited the advantages of providing information, reports are no magic. Be it as it may, the 20 things you should know about Ecommerce report are here and hope you’ve got some clues about this tool.